Jolle Schrenk in the lead with 8,43. During this afternoon the prerounds in T2 were finished with some very good shows! 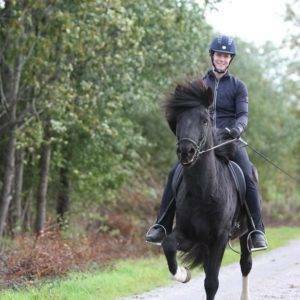 Reynir Örn Pálmason (WC) did a great peformance with his gelding Spói fra Litlu-Brekku and ended up with 7,83 which is the third position so far. Julie Christiansen and Bliki frá Efri-Raudalaek also made it to the A-final. 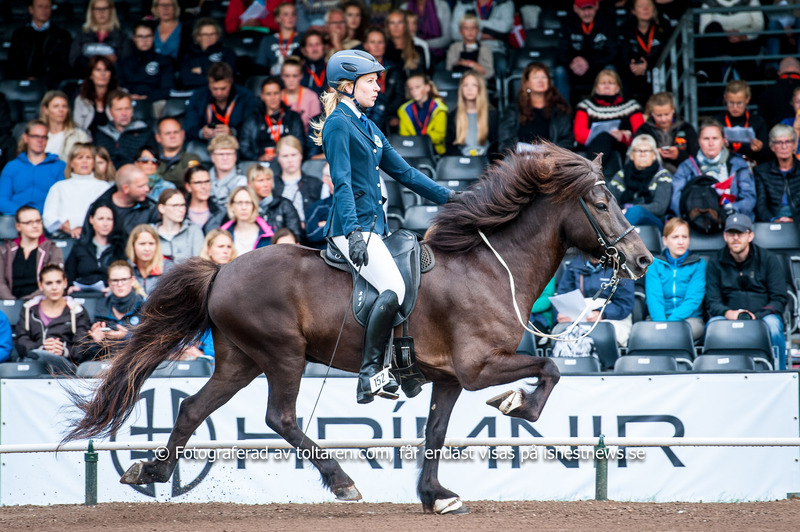 Jolly Schrehnk and Glaesir is in the lead with 8.43 and Johanna Tryggvason and Fönix at the second position with 8.40. 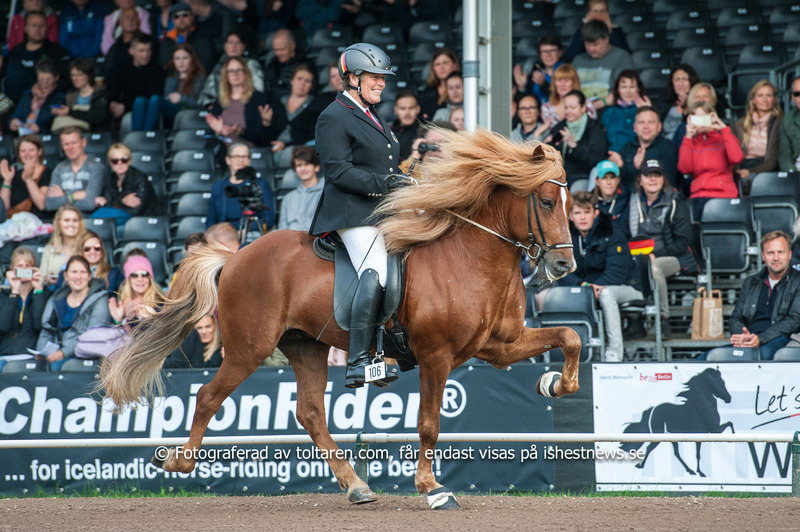 It is very impressive to see that out of the top six horses in this disiplin, four af them are bred from the same area in Eyjafjördur northen Iceland. Spói frá Litlu-Brekku, Fönix frá Sydra-Holti, Bliki frá Efri-Raudalaek and Hölkvir frá Ytra-Dalsgerdi are all brought up in the Eyjafjödur area, as well as Kjarkur frá Skridu which is in the 13th place and Pistill frá Litlu-Brekku (same farm as Spói is from) is in the A-finals for the YR with his great rider Gustaf Asgeir Hinriksson. 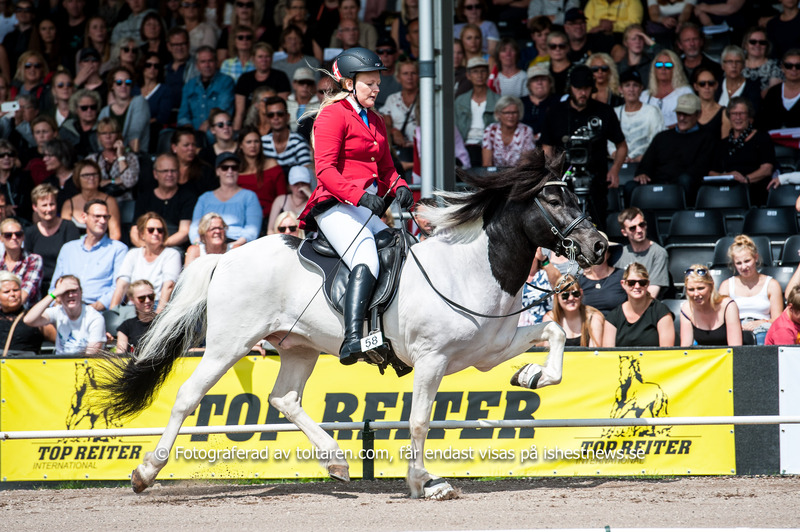 Clara Olsson and Thor frá Kaldbak, representing Sweden, are in the lead for the YR. 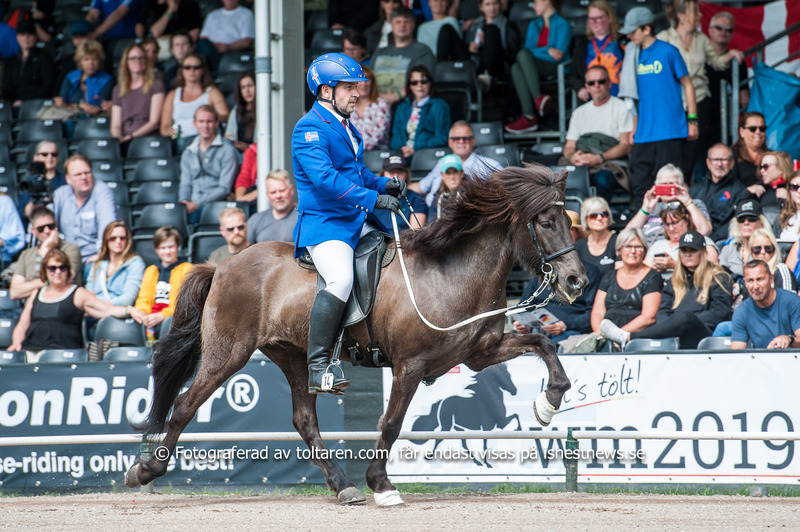 Previous articleClara till A-final Young Rider, Vignir och Magnús till B-final. Vi snackar T2!